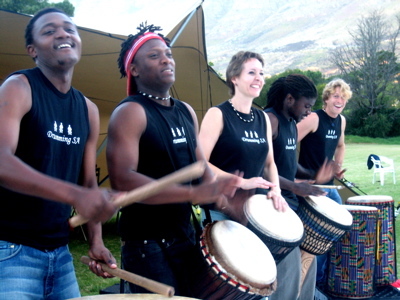 Drumming SA offers interactive drumming for team building and entertainment, as well as African drumming performances, to companies, groups and individuals throughout South Africa. 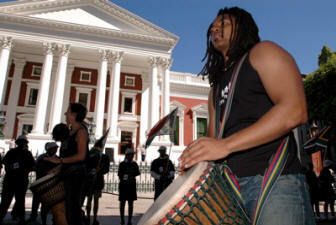 We have teams in Cape Town, Pretoria / Johannesburg, Durban, and Port Elizabeth. For other areas - we travel. Communal drumming has been an integral part of African life for thousands of years as a means of celebrating life, love and unity. A guaranteed stress-buster, modern-day drumming is a great way to let loose, have fun and invigorate your mind while venting the frustrations of your day. 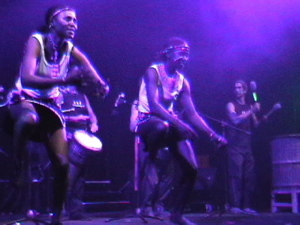 Rhythm is a universal language, which is why drumming creates a unity that transcends the barriers of culture, gender, age, religion, and hierarchy, and is a very powerful tool for team-building. 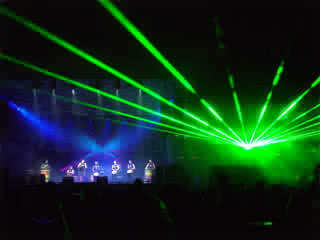 It's also a great way to meet people, or to enjoy as a group of friends. 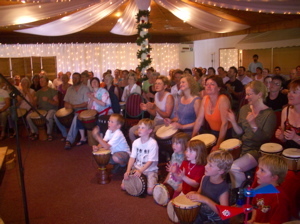 Drumming has a very powerful effect on people, and its extensive physiological and psychological benefits are increasingly being understood through scientific and medical research.